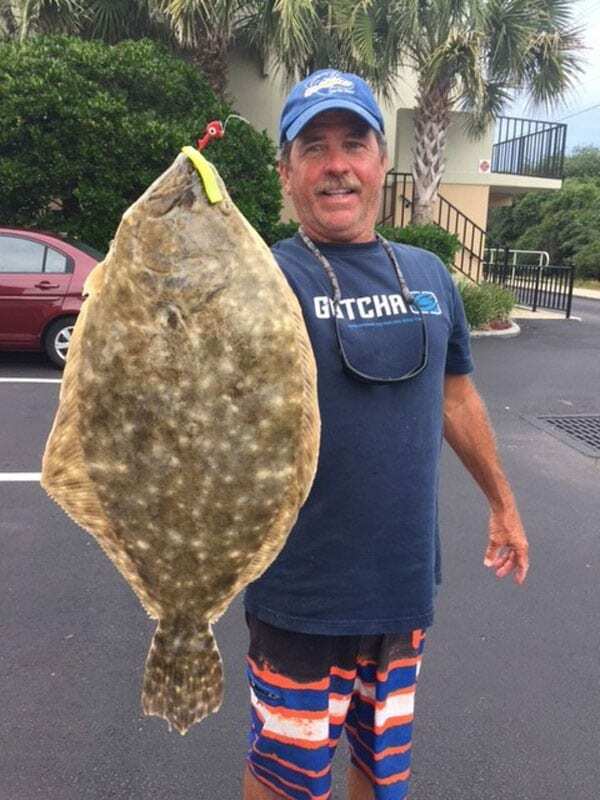 Recently Doug Cooper went flatty hunting in the mouth and bend of the Matanzas Inlet. Those of you who know this area know that the water whips through there with very strong current. We also know that at times on slack tide you can present to some nice flounder. My personal best flounder was caught there years ago, just off the rocks on the west bend, nice and thick, giving me 4 nice fillets. Well done Doug! It’s a thrill to catch a flat like that for sure, particularly on ultra light tackle, well done! Doug was awarded $200 for this photo that he submitted to the Fishbites photo contest! 4 nice Fillets and 200 bucks for the catch – not a bad day at all!